This is a similar image of the proposed new syllabus. 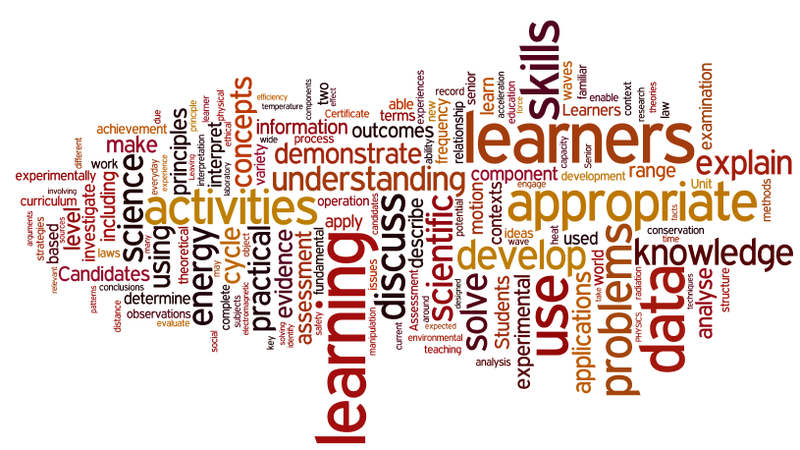 Notice the new focus on the words ‘learners’ and ‘learning’. If any of this was a priority then chances are that Particle Physics wouldn’t have been removed (and with it Pair Annihilation, Anti-matter, Neutrinos, Fundamental Forces, etc.). Chances are that Cosmology would also feature strongly in the new syllabus (Black Holes, Quasars, Pulsars, Big Bang, Neutrinos (again), Dark Matter, Alien Life, etc. etc.). It doesn’t. Potential difference (commonly known as ‘voltage’) is probably one of the least well understood concepts in Leaving Cert Physics. Not only is it difficult to understand such an abstract concept (it’s not like you can hold a bunch of voltage in your hand), but the meaning of the term ‘voltage’ has itself changed over the years, and you’re left to make sense of the remaining muddle. If you think I’m just saying this to make you feel better, read on. The following extract has been taken from the minutes of a History of Science meeting in 2002. John Roche, of Linacre College, Oxford, opened the session after tea, speaking on the concept of voltage. He began by claiming that almost every concept in electricity and electromagnetism is ambiguous, and the concept of voltage is one of the most incoherent. Its evolution in difficult to follow. Abbé Nollet, in the 18th century, distinguished quantity and degree of electrification. 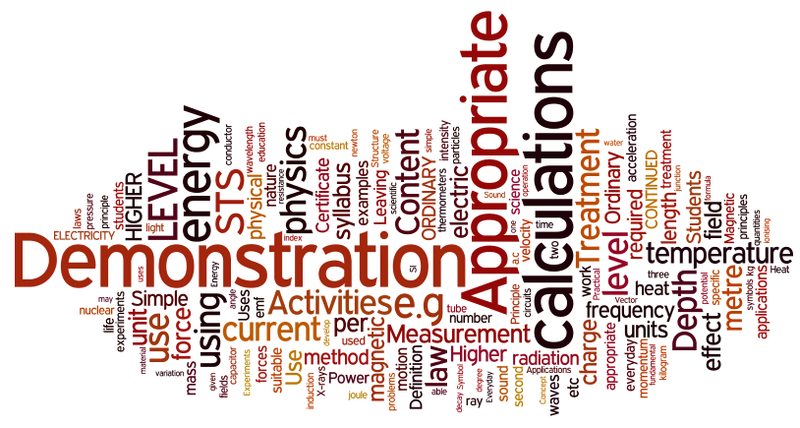 Others made similar distinctions between quantity and intensity or tension or pressure – what we would call voltage. Roche showed how the term “voltage” had come to be used nowadays in three different ways; for electromotive force, potential difference and (absolute) potential. Volta defined electrical tension as the endeavour of the electrical fluid to escape from a body. Volta’s tension was more akin to a force, unlike the modern definition of electromotive force, which is a misnomer, being defined in terms of energy. Ohm carried Volta’s concept to closed circuits with the idea that voltage was proportional to the difference in tension between the ends of a conductor. For Ohm, it was the gradient of electrical tension that drove the current. Poisson introduced an entirely different concept, of charge divided by distance to a point, which Green called the potential. This was an analytical device only, arising from an analogy with Laplace’s gravitational potential function. Kirchhoff reconciled Volta’s tension with Poisson’s potential function through the concept of energy or vis viva introduced by Helmholtz. From Kirchhoff, current is driven by the electric field in a conductor and voltage is related to the energy supplied, but physicists and electrical engineers do not usually think of them in this way. All the earlier interpretations remain current, but with different weights, and most of the time voltage is seen as a driving energy. We had a Physics inspection last year which involved putting together a Subject plan (not that it didn’t exist previously of course, but you know what I mean). It did take quite a bit of time and it occurred to me that, given that most schools in the country offer Physics as a subject, it would make sense to those who have yet to create their own to see one which is already in existence. It is of course not the definitive article but nevertheless should prove particulary useful to both new teachers and those who have been ‘drafted in’ from other subjects to teach Physics. Feel free to incorporate as much or as little of it as you like; if I make any major changes I will let you know via the blog or twitter. I hope to get around to producing something similar for Applied Maths at a later stage. Wouldn’t it be nice if every department in every school had to put their subject plans online – I’m sure it would be appreciated by parents who are looking to decide what school to send their children to. Quantum Theory – why do we ignore the mystery? Isn’t it crazy that one of the most wonderful concepts in Physics – the dual nature of light – doesn’t get a better deal from the leaving cert physics syllabus? Students are expected to know how to demonstrate that light is a wave, and also to be able to recall Einstein’s interpretation of the Photoelectric effect (which proved that light is a particle) but then there is nothing else about what is one of the greatest mysteries in Physics – how can light be both particle and wave? Quantum Theory is one of the most popular concepts in popular science books, yet we leave it out altogether. Isn’t there a responsibility on us as teachers to make our voices heard? Or is it the case that we don’t really care? The following is a video taken during the Solvay Institute of 1927 – it helps to give some feel for the characters involved (see the Quantum Physics page of thephysicsteacher.ie for a link to this and other related videos). This is one of my favourite videos on quantum theory – it emphasises the wonder, and that’s always a cool trick when introducing any new physics concept to students. For anyone out there interested in educating themselves on all things nuclear. I teach this as two seperate chapters for Leaving Cert Physics. I would like to think that by studying the notes on the two chapters plus watching the associated links you would actually be in a position to answer any leaving cert questions on the topic. The nice thing (I think) is that the word documents contain every exam question that has ever appeared on that topic (broken into individual short questions) plus the solution to each question. At least I think that’s cool. It means not only can you put yourself in a postion to understand what’s happening in Japan at the moment but it should feel nice to know that you can do leaving cert Physics! Apart from that, the following video serves as a reasonably good source of information although it is by no means comprehensive and doesn’t list the potential dangers, which is what most people want to know. Normally we cover this topic towards the end of sixth year but this is the perfect time to introduce the concepts to fifth years; I wonder how many teachers chose not to alter their lesson plan because that’s just not the order in which it’s meant to be taught? A standard leaving cert physics exam question is “why do we have the decibel scale”? The standard answer is that the range of sound intensities is so large that a second, much more compact scale is required to make the numbers more manageable, and for sound this scale is based on multiples of ten and is called the decibel scale (and what it measures is called sound intensity levels). At least that’s my best guess, which doesn’t seem too dissimilar to what the author of a recent book on Physics and Music entitled How Music Works thinks about the decibel in general. I think the decibel was invented in a bar, late one night, by a committee of drunken electrical engineers who wanted to take revenge on the world for their total lack of dancing partners. Now what’s the betting that students will remember this explanation and forget all about the technical one? Section A of the Leaving Cert Physics exam contains 30% of the overall marks so it’s worth studying it in detail. I have put together a booklet which contains every Section A question which has appeared on an exam paper at higher and ordinary level together with all the solutions.